QuickTime is a type of program that is used to record Skype videos and edit them on your Mac machine. This is one of best Skype video recorder for Mac OSx that doesn’t get to limit the end-user on anything. With QuickTime, you can be able to record, edit and create videos with a lot of ease over Skype. You are also able to create slide shows for audios and videos of Skype as well. If you have images that you would wish to convert to different formats, then this is the software to use. 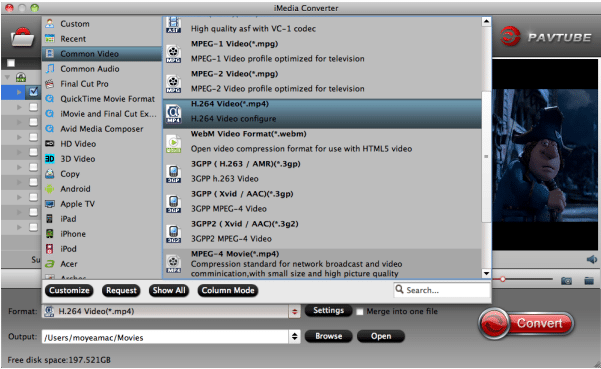 Be able to save videos from the web with QuickTime. Be also able to view, edit, crop and resize videos using this tool. This is great for use especially if you are wishing to watch your favorite videos in different formats. Conversion of images to different formats. Being able to record Skype videos in full screen. Ability to save videos from the web. Creation and editing of videos and application of special FX. MIDI input for synthesizers and musical instruments. The end user can be able to crop and resize as well as edit all videos. QuickTime will let you play videos that are stored on your hard drive as well as being able to stream content by supplying the URL of the video source. QuickTime improves security on the web browser whereby your content updates on the web and the amounts of visits are made secure by default. Works perfectly with HD videos. You can get to experience excellent video quality and full HD movies. Perfect for audio playback integration. Quicktime offers audio integration with your browser, therefore allowing you to watch videos right away from its window without having you to go back to the hard drive where it has been saved. Features H.264 video compression technology that helps to deliver brilliant and crisp HD videos. Compared to other version of QuickTime, this specific software doesn’t have any additional features. The end user has to install extra codes manually so as to be able to play back some videos and audios. Has no playback support system especially for those file formats such as AVI and FLV. To run the application better, the end user has to install bloatware application that gets to take much of your PC space and cause problems for other software update and applications. You have downloaded and installed QuickTime software in your Mac. Use the “Add Video” button to import videos in your PC. When you tap the play icon, a window will pop up to give you the option of choosing the file you want to play automatically. On the “Edit” button, you will find the video editor command. It is here that you can Crop, add Effects, add Watermark, and Trim. Additionally, you can add sub-titles at this point. Then comes the need to have a customized sub-title. The free software can do the sub-title editing in a blink of an eye. Scroll to the write the sub-title content and your files will be saved as SRT. 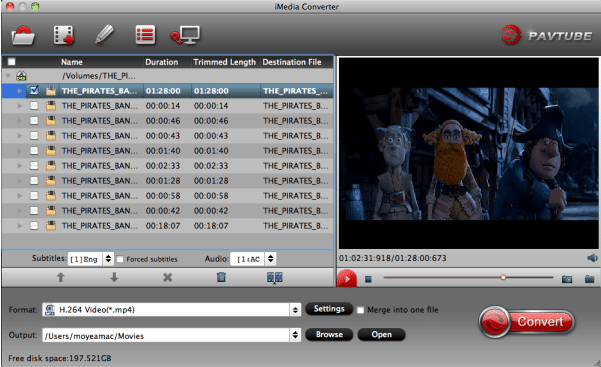 The iMedia Converter is fully supported by Mac. To get the characteristic video, load the file to the software on the output videos. Go to “Format” drop-down list. Here you can choose the best high quality format. There is also a plenty of presents to customize them if need be. Find the big red button “Convert” and your video will be converted with the quality option you choose before. To locate your videos, tap “Open output folder” or just click “Open”. You can now transfer your videos to either Android/Apple/Window for a smooth playback with any player of your choice. Enjoy QuickTime in style! QuickTime was developed by Apple. The main intention of this is to give the end user a chance to play various formats of digital videos, pictures, sounds, animations, graphics and texts and music with an inbuilt media player. This software is bundled with OSx and is downloaded as a standalone installation.